She'll stand out in stunning style with the mini rodini® Seahorse Sailor Dress. Colorful whale-printed dress crafted from a woven, organic cotton fabrication. Round neckline with a sailor-inspired collar. Snap closure at the back. 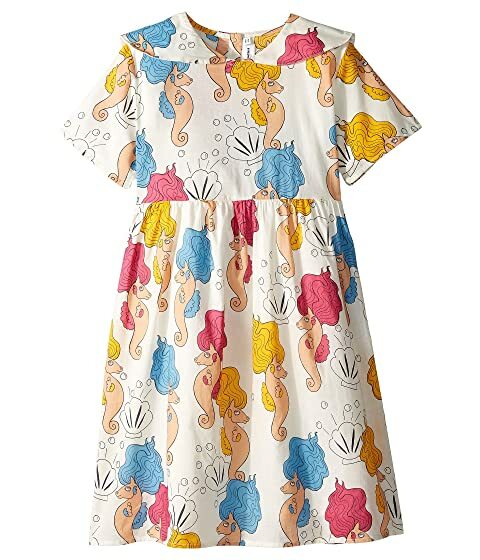 We can't currently find any similar items for the Seahorse Sailor Dress (Infant/Toddler/Little Kids/Big Kids) by mini rodini. Sorry!